Obituary for Blanche (Jeffries) Hurt | Butler Funeral Home, Inc.
Blanche Jeffries Hurt age 82 of Louisville passed away peacefully Wednesday, September 5, 2018 at Baptist Health in Louisville. Born in Metcalfe County she was the daughter of the late Argle and Allie Vance Jeffries. 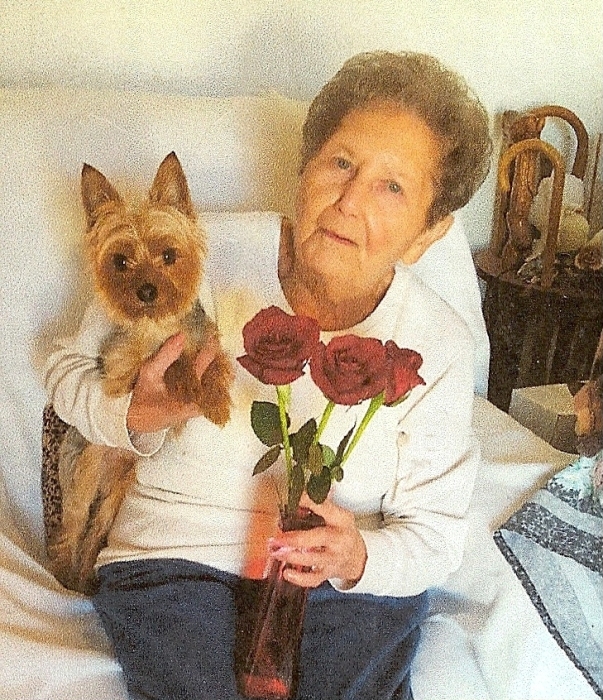 She was a homemaker and retired medical office assistant. Blanche attended the South East Christian Church on South West Campus in Louisville. Funeral services will be held 1:00 PM Wednesday at Butler Funeral Home in Edmonton with burial in the Metcalfe County Memorial Gardens. Visitation will be from 5:00 PM until 8:00 PM Tuesday and after 9:00 AM Wednesday at the funeral home. Blanche is survived by her daughter Shelby Neel and her husband James of Elizabethtown. One sister Doris Jeffries of Louisville and one nephew Kendall Jeffries of Indiana. Her loving dog Max also survives. Besides her parents she was preceded in death by her husband James Murrell Hurt and a brother Don Jeffries.